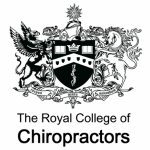 In 2011, the RCC commissioned a review of manual therapy evidence by Warwick University (‘the Warwick Review’) in order to confirm and update a similar review undertaken by Bronfort et al (2010) and to extend the range of evidence considered to include non-randomised studies. The outputs of this review included a comprehensive database of manual therapy evidence (subsequently known as the RCC Manual Therapies Evidence Catalogue or ‘MTEC’), a report written for the RCC [Sutcliffe et al (2012)] and a paper published in the Chiropractic and Manual Therapies journal (Clar et al, 2014). MTEC is available to RCC members. Please log in to this website and then choose the Manual Therapies Evidence Catalogue tab from the Research unit menu.